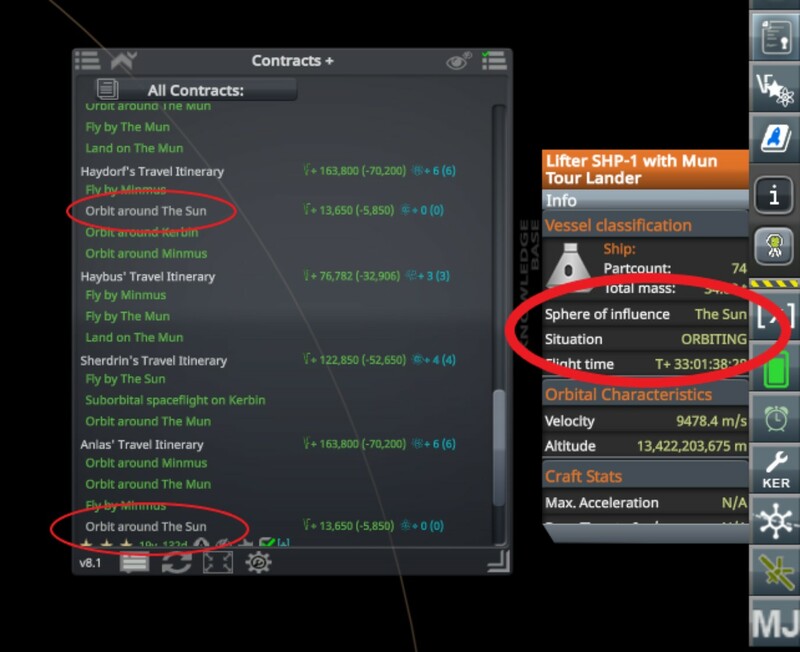 Tourism Contract Bug [Cant Complete Orbit Sun]? 1) I had a transfer stage that had a lander docked to it that made it to solar orbit ("Orbit the Sun" was not complete for 2 tourists). The kerbal tourists that needed "Orbit the Sun" were in the lander. The transfer stage was the root vessel. I undocked the lander from the transfer stage and suddenly the two tourists mission parameters of "Orbit the Sun" went green. 2) On another occasion, i didn't have the same lander/transfer setup so I couldn't just undock. 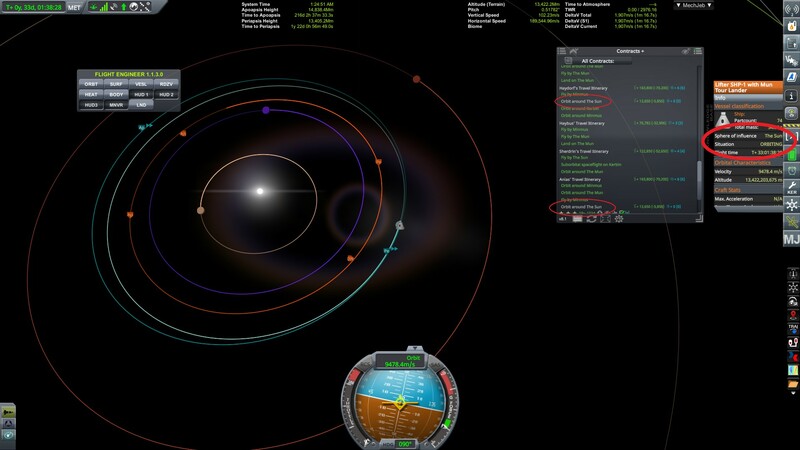 I set up a maneuver to re-enter Kerbin SOI, then right after I'm in Kerbin SOI, I set up another maneuver back to solar orbit and just keep the vessel active while it leaves Kerbin SOI and enters Sun's SOI. I've tried playing around with KLM to see the data in the save file. 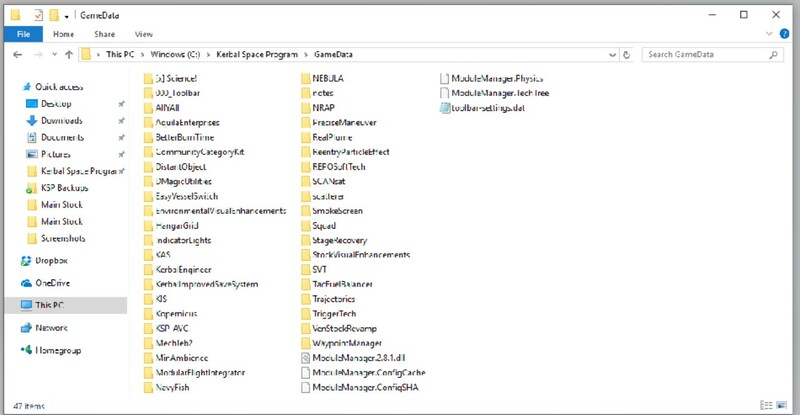 It appears that my kerbal's are not getting "Orbit,Sun" attribute added to their Roster / Flight_Log. I was thinking maybe there was something with Kopernicus causing an issue with solar orbit identification, and I tried removing that, but it didnt help. Does anyone have any other ideas as to what could be causing this? Here is my Game data directory and a screen shot with some "proof" of flight condition/situation.